Happy Tuesday! So glad Monday is over! I wore this outfit to work outfit to work yesterday. Comfy and fun! 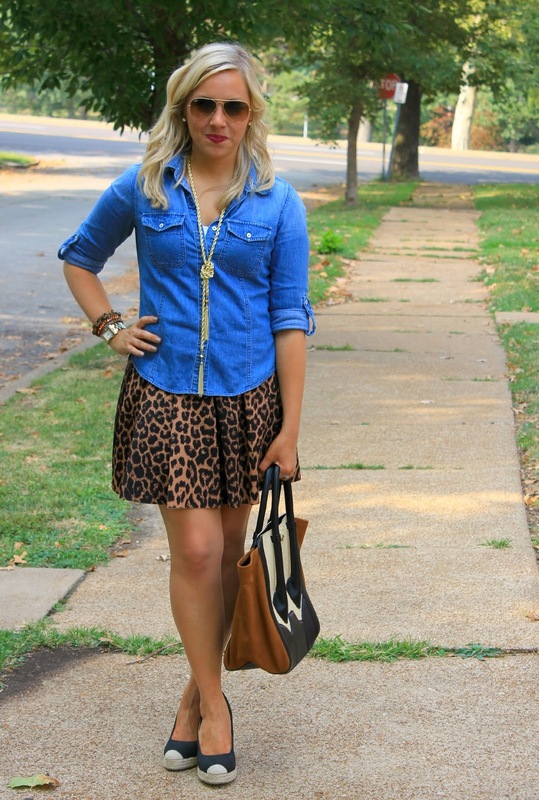 Love mixing leopard and denim. I also want to share with you a birthday! 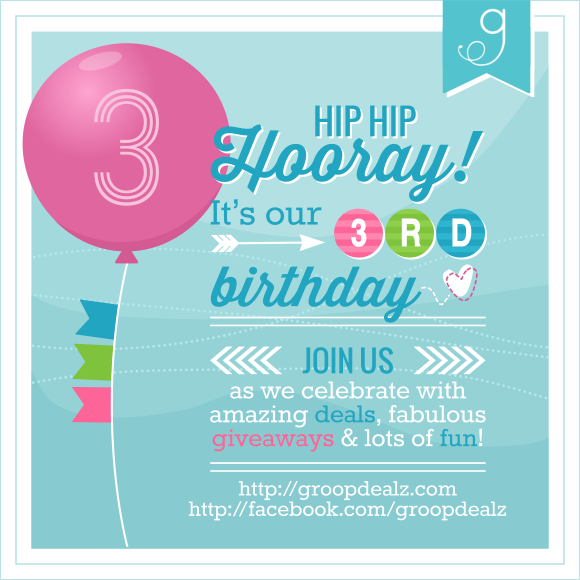 Groopdealz is turning 3! To celebrate they are having some amazing giveaways! Be sure to check back tomorrow! I have a great post to help celebrate their day! Be sure to check out the amazing deals on their site the next few days. You do not want to miss out. 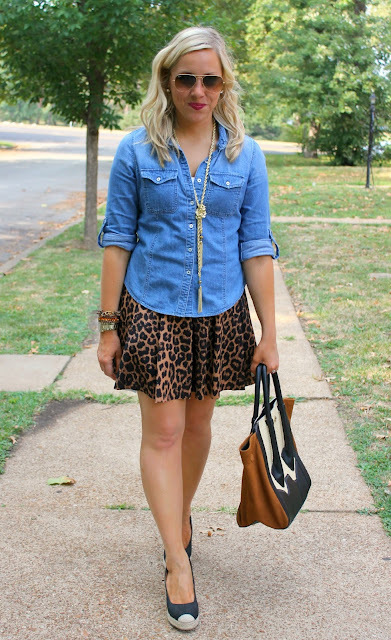 I love the a-line shape of that leopard skirt, so cute! Love this! 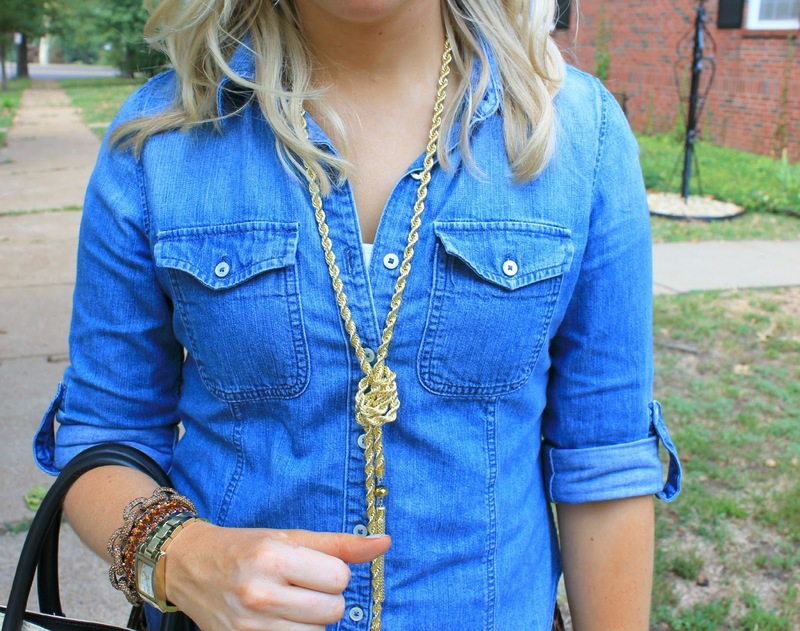 The necklace is perfect with this!! 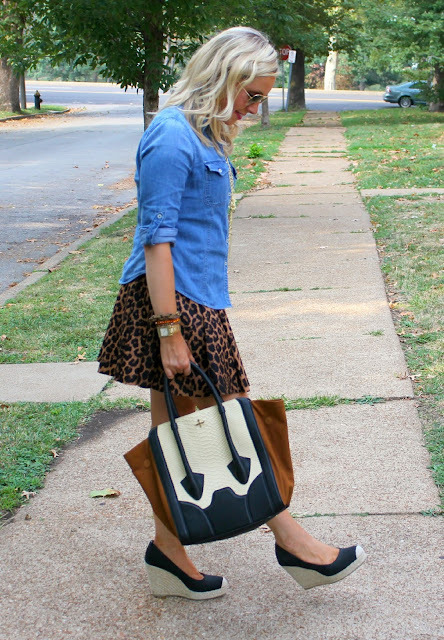 Love, Love, Love that skirt!! Thanks Shannon! It is super comfy and stretchy! 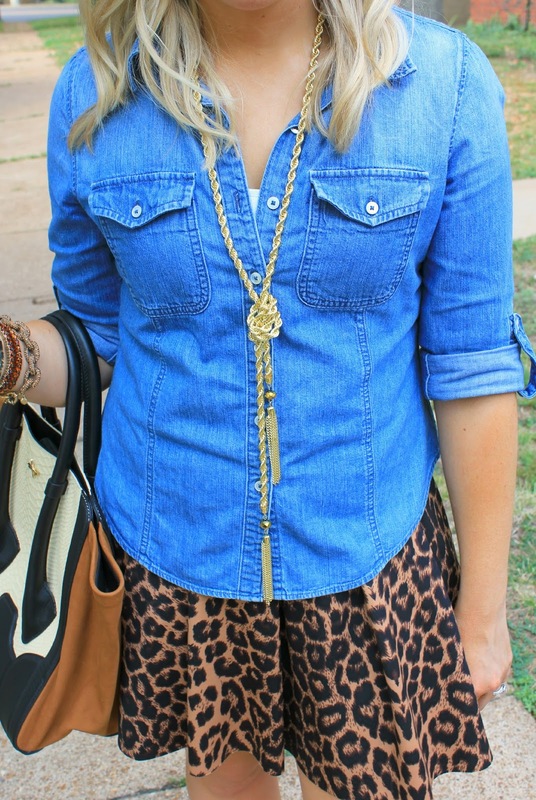 I'm kind of obsessed with this outfit. I NEED that skirt. And I love the tassel necklace!! You look fabulous! Thanks Nikki! I bought it this past summer! Super comfy! I just got that tassel necklace in the mail, LOVE IT! It is so fun! I have had it for less than a week and have worn it almost everyday! Such a cool look...you can't go wrong with leopard and chambray!